On Wednesday, October 17, 2018 the Old Glory Relay ran by WCV High School. The WCV students wanted to show their support for the veterans and their cause and decided to run with them to Stuart Elementary. We had 135 West Central Valley students and staff run and walk. As a school and community, we are proud to be a Wildcat! Has your child had their sports physical? Call GCH Clinics to schedule today! As part of your annual well-child exam, a sports physical will be completed during the same visit. We will donate $10.00 for each well-child exam back to your school's athletic department. FREE Mobile App for the whole Community...Parents, Students, and Fans! Get the daily calendar and view schedules for WCV CSD activities & athletics. For Community Calendars, there's no better way to stay on top of all your community's events! 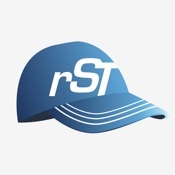 Click the link below or search the app store for rSchoolToday and look for the blue baseball cap icon shown in this picture. Once downloaded, search for West Central Valley in the app. Each time you open the app, it shows you today's scheduled activities and athletics. The Nutrition Staff of WCV want to make sure every meal served within our schools is safe and nutritious. Because WCV does not provide refrigeration for meals brought from home, we want to make sure you have all the information you may need to keep meals sent from home safe and healthy. The following links have been provided by the USDA. United States Department of Agriculture Food Safety and Inspection Service Consumer Fact Sheets Back to School: Food Safety & You Keeping Bag Lunches Safe Food Safety After School Food Safety Tips for College Students Tailgating Food Safety Q&A Cooking for Groups Basics for Handling Food Safety Seasonal Food Safety Food Safety While Hiking, Camping and Boating Handling Food Safely on the Road Holidays or Party Buffets Refrigeration and Food Safety Shelf-Stable Food Safety . . . MEAL CHARGES & NEGATIVE BALANCES Students have use of a Family meal account. When the Family account falls below zero, the student(s) shall not be allowed to charge extra milk or a la carte items until the negative account balance is paid. Students who qualify for free meals shall never be denied a reimbursable meal, even if they have accrued a negative balance from previous purchases. Students with outstanding meal charge debt shall be allowed to purchase a meal if the student pays cash for the meal when it is received. Families will be notified of an outstanding negative balance once the negative balance reaches -$0.01. Families may be notified by email, automated calling system or letters sent home with student or mail . Families may add money to their account the following ways: 1. PaySchools – online electronic payment options 2. Pay by cash or check at the school or district office WCV CSD has an online parent information center called JMC Parent and an online payment system called PaySchools . You can access JMC Parent Online . . . This policy manual contains the policies of the board of directors of the West Central Valley Community School District. Policy development is a dynamic, ongoing process. New problems, issues and needs give rise to the continuing need to develop new policies or to revise existing ones. The use of a loose-leaf manual is to make it easier to keep the policy manual up-to-date. Each person holding a copy of this manual has a duty to keep the loose-leaf manual current as new and revised policies are distributed by the superintendent’s office. How To Use This Policy Manual The West Central Valley Community School District operates according to policies established by its board of directors. The board develops policies after careful deliberation and the school administration implements them through specific regulations and procedures. The board reviews and evaluates its policies and makes revisions as necessary. The manual is organized according to a numeric codification system. There are nine major classifications bearing a numeric Section Code: 100 School District 200 Board of Directors 300 Administration 400 Personnel . . .
Tuesday, April 23, 2019 Monday, April 22, 2019 Friday, April 19, 2019 Thursday, April 18, 2019 Wednesday, April 17, 2019 Tuesday, April 16, 2019 Monday, April 15, 2019 Wednesday, April 10, 2019 Tuesday, April 9, 2019 Monday, April 8, 2019 Friday, April 5, 2019 Thursday, April 4, 2019 Wednesday, April 3, 2019 Tuesday, April 2, 2019 Monday, April 1, 2019 Friday, March 29, 2019 Thursday, March 28, 2019 Wednesday, March 27, 2019 Tuesday, March 26, 2019 Monday, March 25, 2019 Friday, March 22, 2019 Thursday, March 21, 2019 Wednesday, March 20, 2019 Tuesday, March 19, 2019 Monday, March 18, 2019 Friday, March 8, 2019 Thursday, March 7, 2019 Wednesday, March 6, 2019 Tuesday, March 5, 2019 Monday, March 4, 2019 Thursday, February 28, 2019 Wednesday, February 27, 2019 Tuesday, February 26, 2019 Thursday, February 21, 2019 Tuesday, February 19, 2019 Monday, February 18, 2019 Wednesday, February 13, 2019 Monday, February 11, 2019 Thursday, February 7, 2019 Wednesday, February 6, 2019 . . .